This is all I can say when I think about what me and my hubby and three girls have been doing the past two weeks. 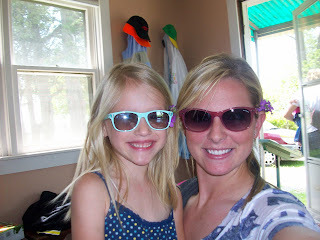 It has been TRAVEL-MANIA for our family and I want to share some fun pictures. 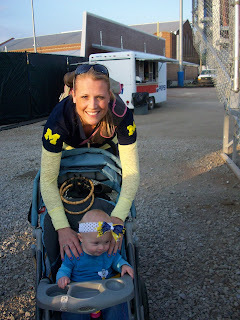 Our first trip was to visit Maggie up in Michigan to watch her BEAT Baylor! Maggie came by the FARM (where we were staying with Grandpa, Mimo, Aunt Adie, Uncle Meade, baby Meade, Aunt Haley, Uncle Jimmy AND Ella!) to hang out before her game. 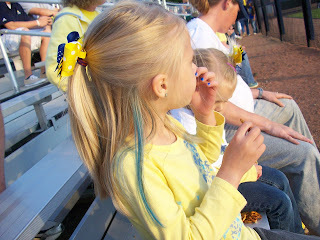 We all loved Maggie's BLUE streak she put in her hair! 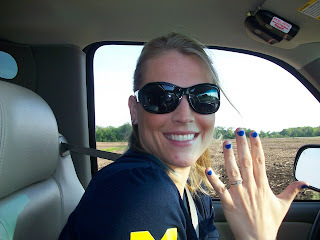 Showing off my BLUE nails! 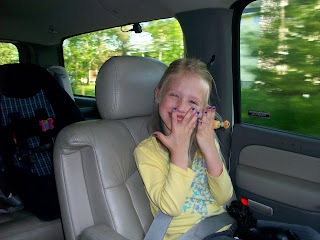 Mia showing some spirit with her BLUE nails! Getting ready for the game! 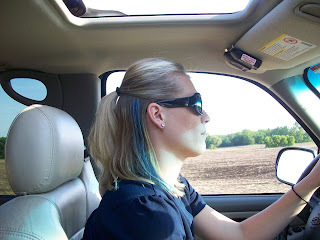 Here is a shot of my BLUE HAIR! 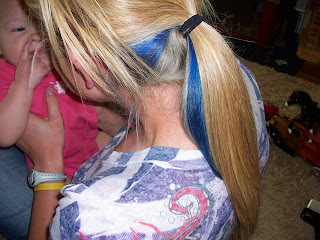 Here is Mia's BLUE streak! 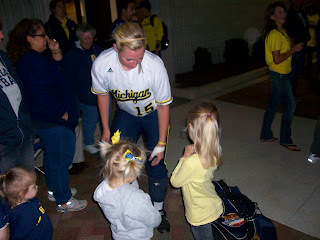 Maggie signing autographs after one of the games. 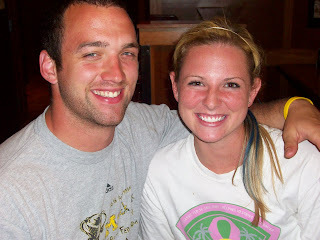 Maggie and Austin at dinner after the games. 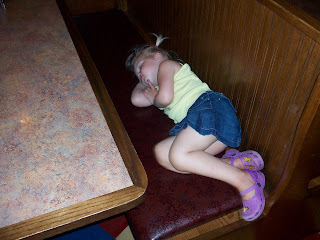 Sophie was SO exhausted she passed out in a booth at the restaurant. Because that's how we roll. 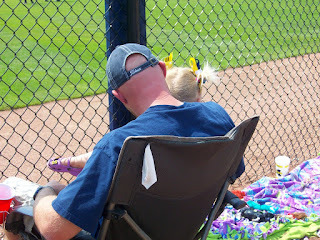 It was such a fun trip to watch Maggie play in Michigan! 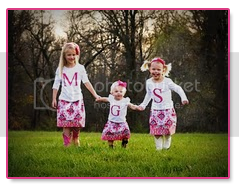 So worth the 17 hours round trip in the Suburban with 3 girls under 4. Tomorrow I will post pictures from trip #2 in as many weeks to OKLAHOMA CITY! We were so glad we got the chance to see Maggie play in the Softball College WORLD SERIES which is every little softball player's dream growing up! 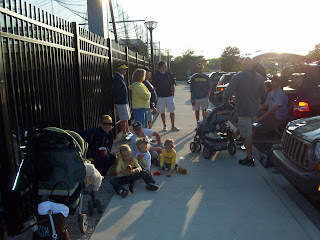 We even made ESPN... crazy Michigan bows and all! 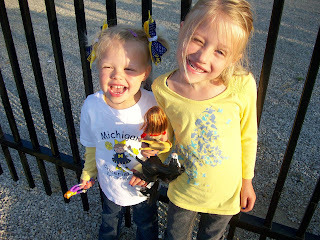 Oh, I love seeing the blue and yellow! Makes me homesick. Yay for MI! :) How fun. I am totally jealous. That will be such a fun memory for you guys! Totally reminds me of our childhood...nothing like sleeping on tables at bars. GO VALLEY PARK! Our parents had the best times and we were always along for the ride. Thank goodness there were so many of us. 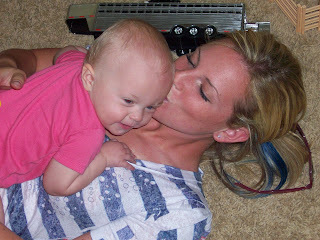 Between you, me, Adie, Hales, Aaron, Mags and Zac...there was always enough to keep us busy!!! We get it because....that's the way we all ROLL!!! So glad you guys had safe travels and shared in the fun with Mags and the WCWS....talk about an experience of a lifetime!! AWESOME!! !